Kate Dewes presenting Mayor Itoh of Nagasaki cranes from New Zealand school children. International Cities of Peace is an association of citizens, governments and organizations who have by proclamation, resolution, or by citizen advocacy established their communities as official Cities of Peace. Every community has a legacy of peace, whether it is by a historical event or by local peace people who have contributed to their citizen’s safety, prosperity and quality of life. These cities are on the path to “becoming” a more peaceful city. Establishing a community as a peace city recognises past achievements, encourages current initiatives, and inspires future generations for practical peace building. As part of encouraging a culture of peace, UNESCO created the "UNESCO Cities for Peace Prize" to pay tribute to exemplary actions which have succeeded in strengthening social solidarity, improving living conditions in troubled neighbourhoods and developing genuine urban harmony. One of the recommendations from the 2002 UN Secretary General’s Study on Disarmament Education encouraged municipal leaders, working with citizen groups, "to establish peace cities, as part of the UNESCO Cities for Peace network, through, for example, the creation of peace museums, peace parks, websites, and production of booklets on peacemakers and peacemaking." Christchurch became New Zealand’s first Peace City in 2002 to mark the twentieth anniversary of becoming the first nuclear free city. Initiatives adopted include a World Peace Bell, a peace walk, peace awards, exhibitions and a collection of peace archives and library books. 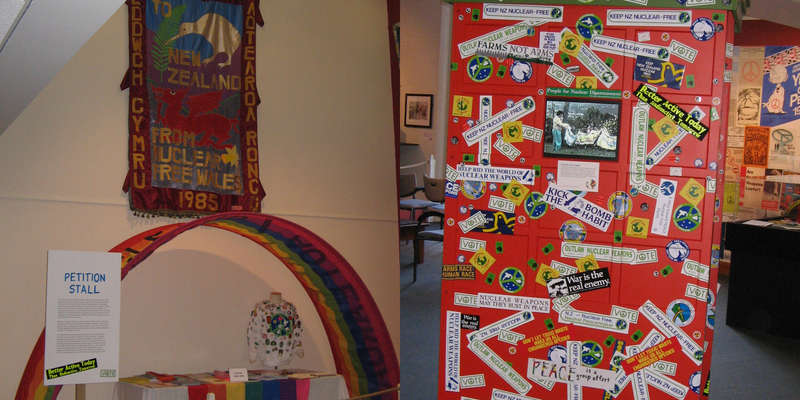 Exhibitions developed and exhibited throughout the country have covered the effects of nuclear bombings on Hiroshima and Nagasaki; Mahatma Gandhi; the health effects of depleted uranium munitions and a celebration of the twentieth anniversary of the passing of New Zealand’s historic nuclear free legislation in 2007. This major exhibition included the original 1963 petition calling for a Southern Hemisphere nuclear free zone, banners, posters, stickers, badges, photos, magazines, stamps, artwork and music. In 2002 Christchurch’s Mayor Garry Moore was appointed one of the 8 international Vice Presidents of the Mayors for Peace coordinated by the Mayors of Hiroshima and Nagasaki. This organisation currently has 7650 member cities in 163 countries/regions. 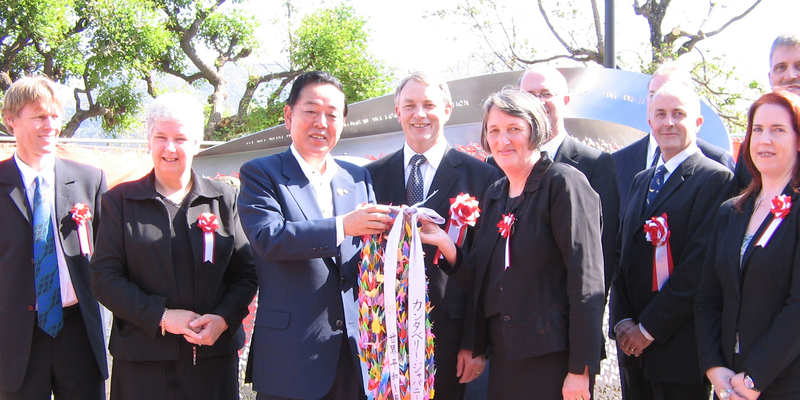 In 2006, the New Zealand government and six cities gifted ‘Te Korowai Rangimarie: The Cloak of Peace ’ sculpture to the Nagasaki Peace Park. Auckland was declared a City for Peace on 15 December 2011. Being a City for Peace contributes to Auckland's aspirations of being the most liveable city in the world. It promotes nuclear-free zones, adheres to the principles of non-violence and tolerance, and a culture of peace based on social, economic and environmental justice. Auckland Council in partnership with The Peace Foundation launched Auckland as a City for Peace on 8 and 9 June 2012. Since then, it has launched the 'Auckland City for Peace Toolkit: A practical guide for Local Board's and communities on being a City for Peace, and the 'Auckland - City for Peace Youth Awards'. Click here for the full copy of the Auckland City for Peace Declaration.